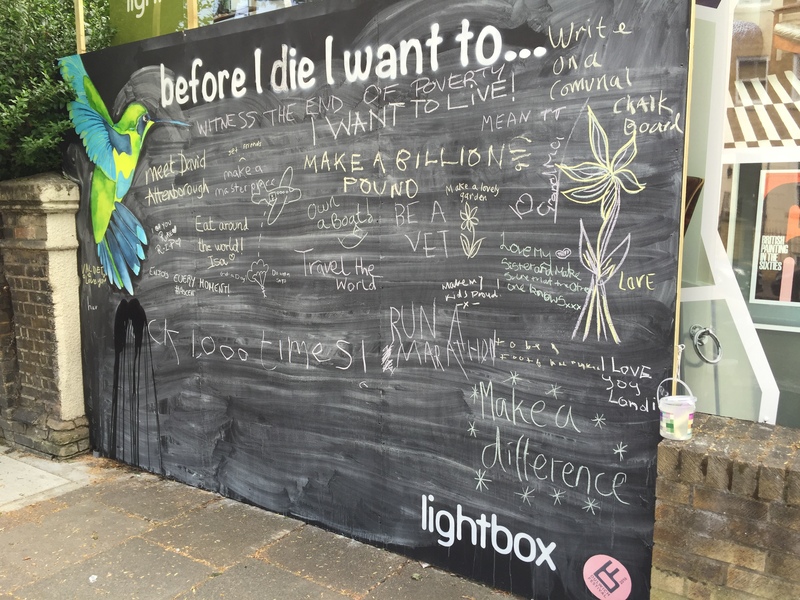 When Alpha at the Dulwich Festival asked if we could help with the Dying Matters initiative we were sceptical…However, once it was explained we were really keen to get involved. 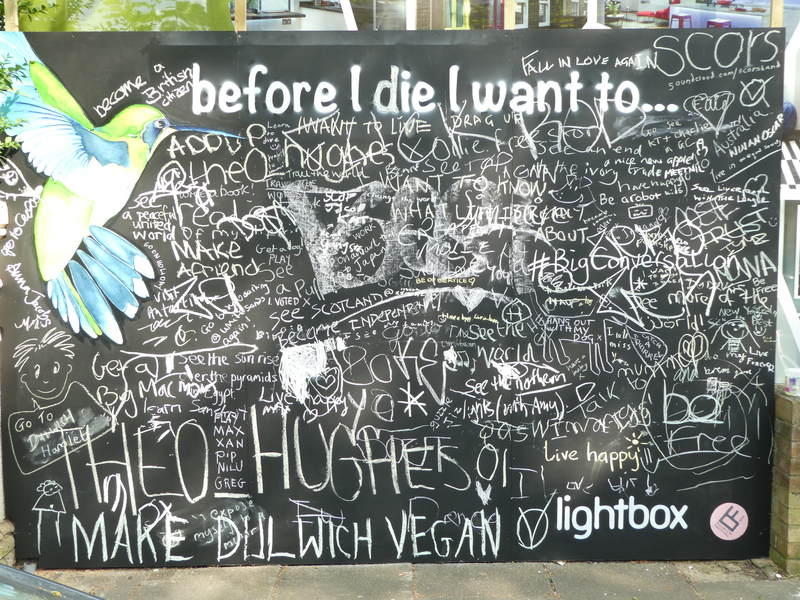 We erected two sets of black boards at two sites in East Dulwich where people could write their aspirations for their lives in chalk. The idea has been seen around the world and is designed to make people pause and think about what they want to achieve in their often busy and hectic lives. The boards were filled every day and are another great example of the importance the Fesitval has as a positive element for our community.